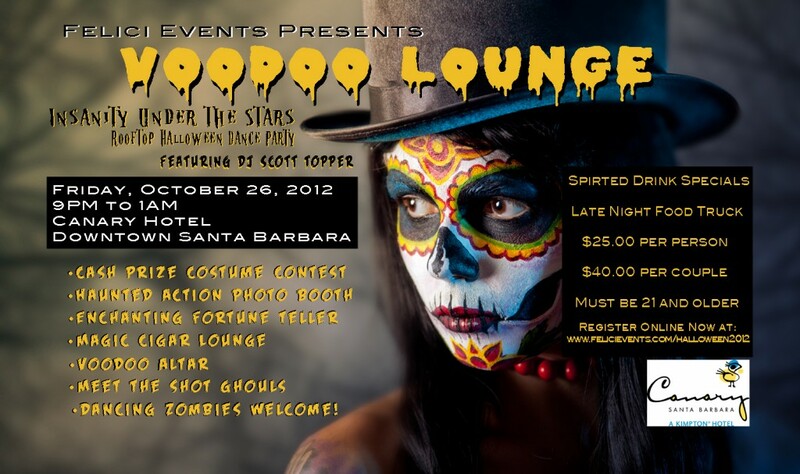 Check out the “Voodoo Lounge” Canary Hotel Santa Barbara Rooftop Halloween Dance Party Friday, October 26 with DJ Scott Topper and Action Photo Booth. 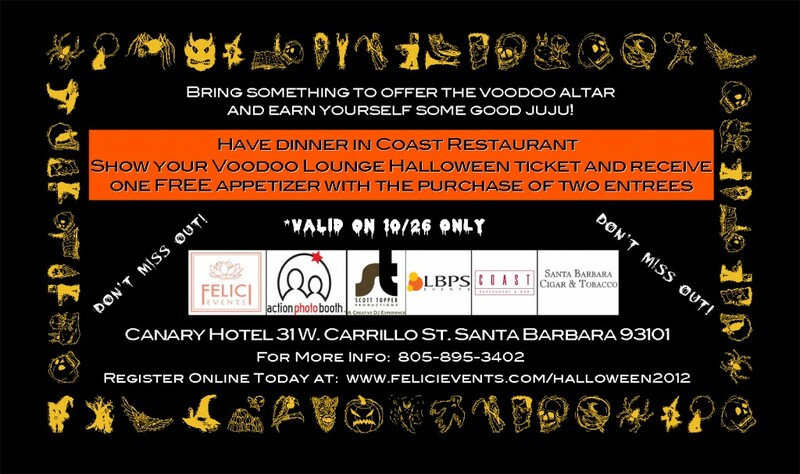 ONE FREE APPETIZER with purchase of two entrees. Need a DJ or an Action Photo Booth for your next event?